I started rallying because it’s absolutely the best way to drive FAST, and not worry about the cops! I’ve been rallying at a national level since 2007. 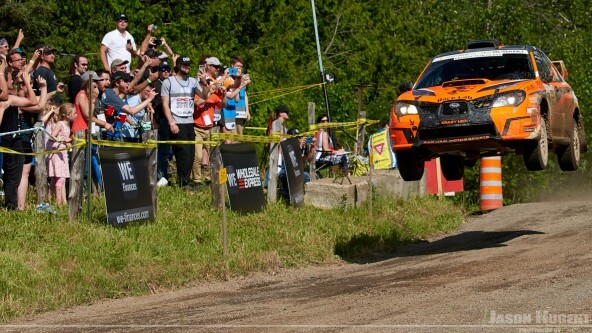 Before that – in Ontario Rallycross and Ontario and Quebec road rallies. In years 2007-2013 I raced in Canada and USA. I was always fast and crashed a lot! In 2014 I was competing in the ‘Drive DMACK Fiesta Trophy’ in the World Rally Championship. 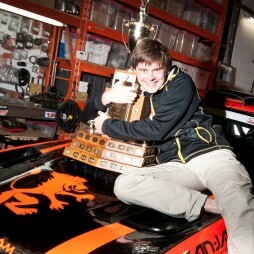 In 2015 I started Race Lab – an advanced driving school with teaching methods and curriculum that are unique for Canada and the USA. In 2019 Mr Kihurani went on to do Junior World Rally Championship as well as Junior European Rally Championship (stay tuned, we’ll be doing some stuff together with his new team), so for my rally events, I partnered up with a Welsh co-driver Max Freeman. He promised to introduce me to some Welsh rally girls. My dream is to get established as a competitive driver in the World Rally Championship.